Flag football, a popular sports choice across the country for kids of all ages, provides parents a safe alternative as opposed to contact football. 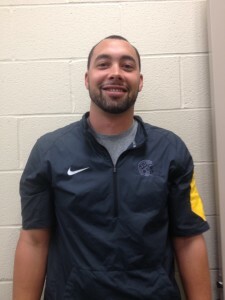 Tozzi is one of many parents afraid to have their children participate in contact football due to the risk of concussions. As more research emerges on the impact of concussions, parents are continually steering their children away from contact football. Even the National Football League (NFL) has noticed the steadily decreasing rates of youth participation in football. “The league (NFL) has donated tens of millions of dollars to USA Football, which has been training coaches and promoting a safe-tackling program to reassure parents,” according to a recently published New York Times article by Ken Belson. Despite these efforts, startling statistics from the online Sports Concussion Institute, reveal that football carries a 75 percent chance of concussions. Additional research indicates that an athlete who has received a concussion is more likely to get another one, if not more. Steven Samolovitch, the UPMC Sports Medicine trainer at Thomas Jefferson High School, discusses how concussions can lead to chronic traumatic encephalopathy. Photo by Sara Mackulin, Point Park News Service. UPMC Sports Medicine Trainer Steven Samolovitch said he believes parents’ worries about concussions in football are justified. Samolovitch believes that CTE is a major problem and that the more kids limit their exposure to contact football, the more they can reduce the risk of possible concussions. High schools across the country are taking action to avoid concussions and CTE too, and some are even eliminating their football programs all together. According to the National Center for Catastrophic Sports Injury Research, five football players died last year as a result of injuries sustained in a game. Due to lack of desire to participate in football, athletes are exploring other sports options. The attitudinal change of athletes and the risk of concussions has led to an increase in participation in soccer and flag football across the country. The fear of concussions is what draws parents to the Pittsburgh Flag Football League each fall, organizers said. The league was started in 2009 for adults in Western Pennsylvania. In 2011, it expanded by opening the program to youth boys and girls. For information on the PFFL, visit their webpage, www.pghflagfootball.com. The league is open to boys and girls ages 7-15 years and is broken up into three age divisions.